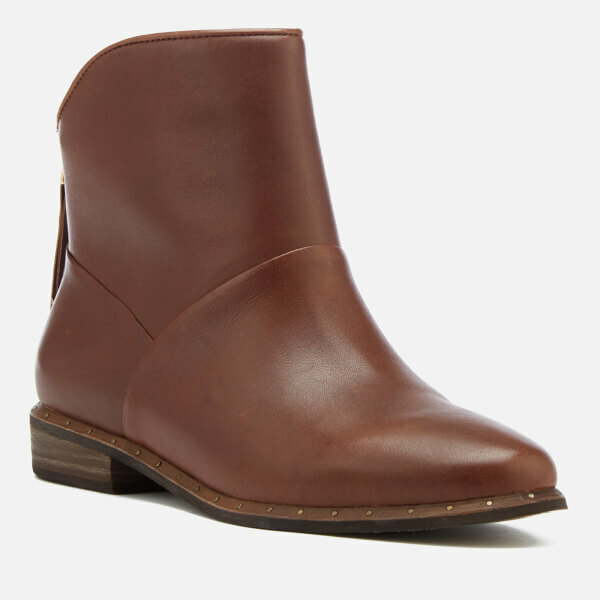 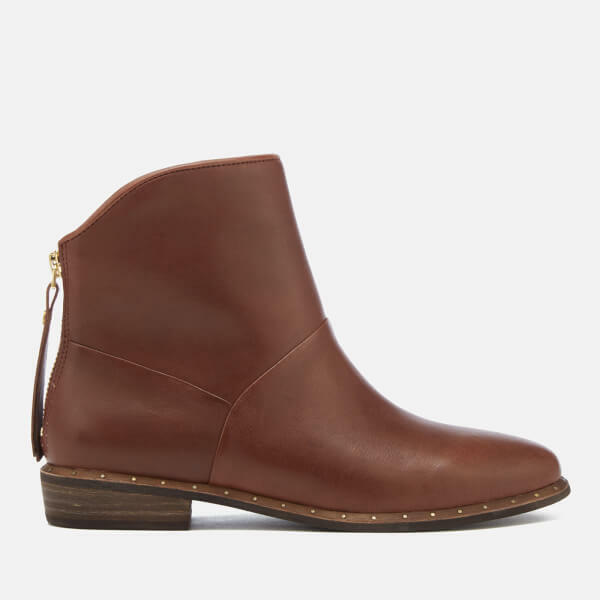 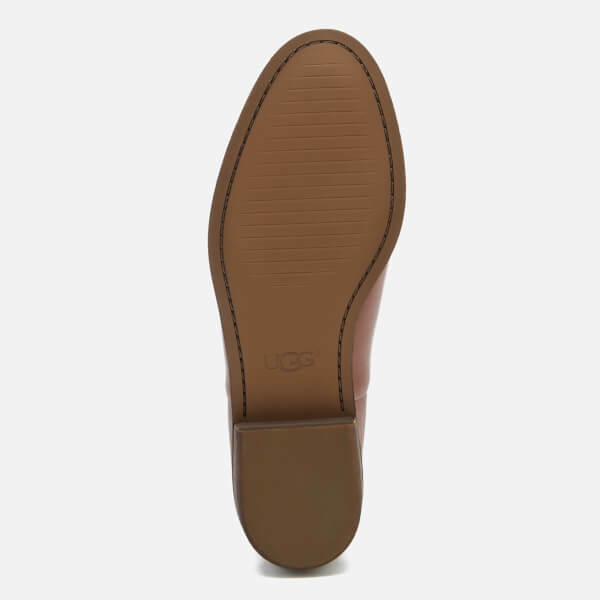 Women's brown leather ankle boots from UGG. 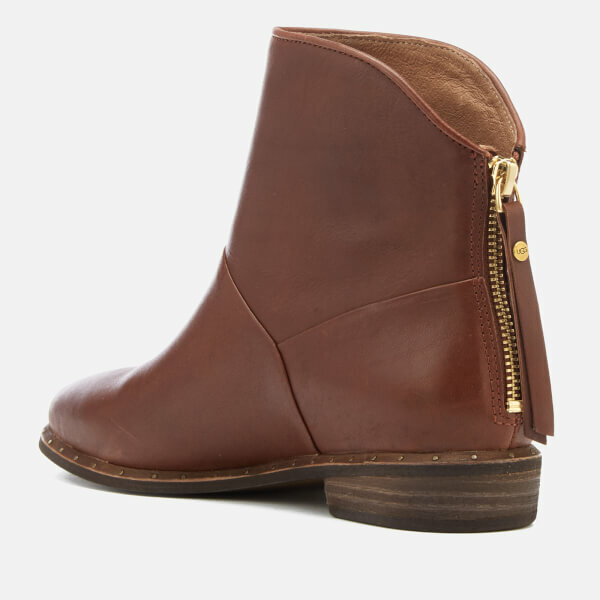 Crafted with premium leather uppers, the ‘Bruno’ slip-on ankle boots are detailed with a zipper to the back and gold-tone hardware. 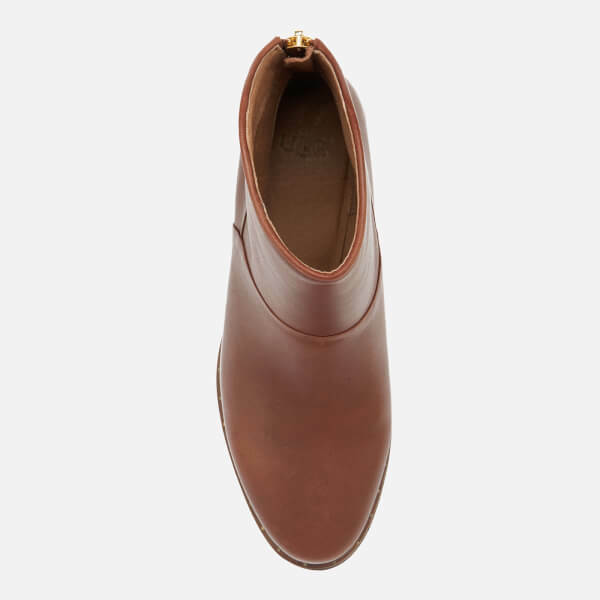 Set on a brown leather-like outsole with a small stacked heel, the ankle boots are finished with gold-tone rivet detail on the welt, a long leather zip puller with a branded gold-tone stud and a leather lined PORON® and foam insole for optimal comfort. 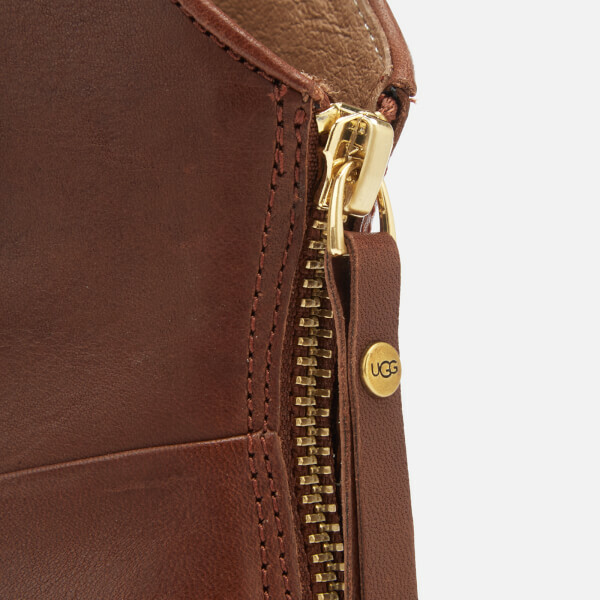 Take an additional 15% off selected Outlet lines when you use code 15EXTRA at the checkout.